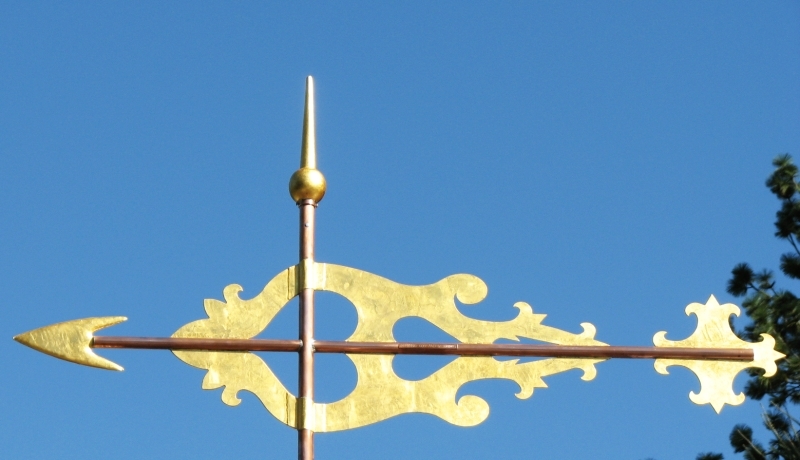 Its always a pleasure for us to continue the historical tradition of weather vanes. 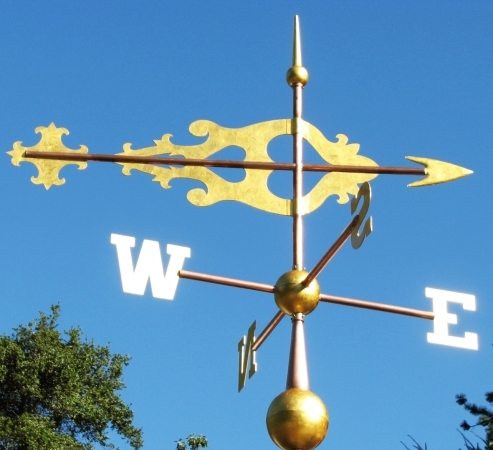 When the Federated Church of Martha’s Vineyard called us wanting to replicate the six foot banner weathervane on their steeple we were honored and excited. 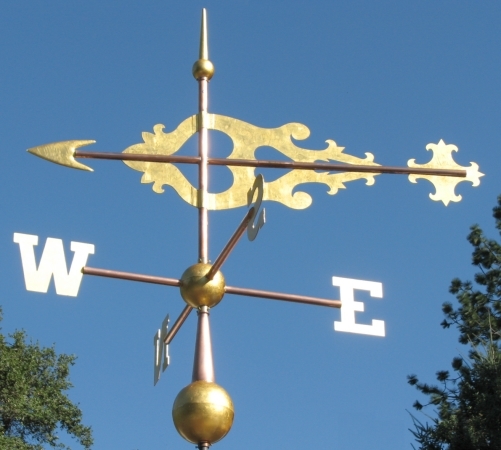 We realized after seeing pictures of the vane and this classic Maine church, constructed in 1828, that to do this right and to keep everything to scale we would even be making the directionals here in our shop. The globes also had to be custom spun. Everything about this fun project was custom and a wonderful project for our skilled artisans. 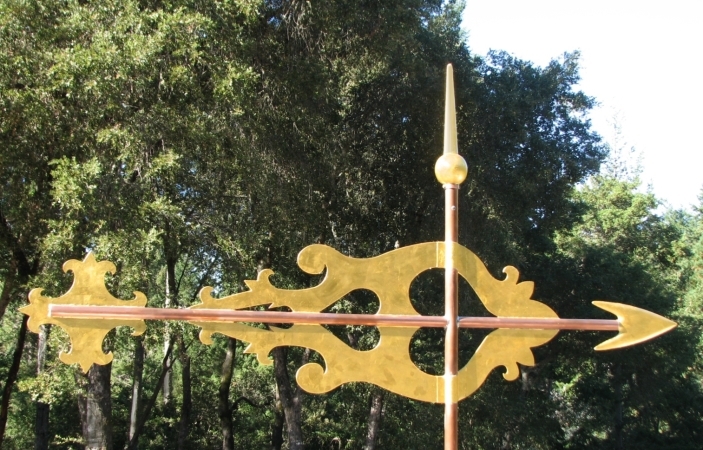 The Church also requested that we apply optional gold leaf to all of the elements except the copper rods. It looks so beautiful and it will remain bright and shining for many years as the copper weathers. They also opted to have an inscription on the horizontal bar of the banner, and ‘lucky pennies’ from 1925 and 2017 sealed into the globe above the banner. We loved the challenge and the results, as did the congregation and community of the church. Here is a link to an article from The Vineyard Gazette about the installation of this wonderful banner.